This is my Kimmie project. 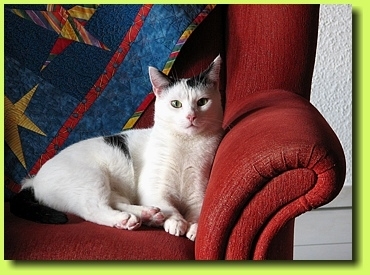 As I am still connected to the shelter in Oer-Erkenschwick (where we adopted another tomcat meanwhile) I again want to support their work again. They definitely take very good care of the cats and do their best to find friendly homes for them. I was engaged in fund raising before (see Wee Tomcat) but needs never end. 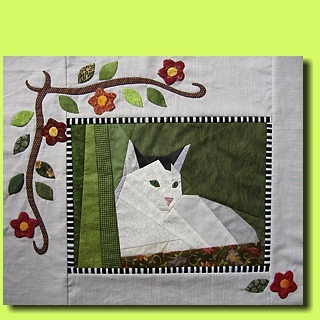 In 2013 the shelter celebrates its 30th anniversary and so I decided to give the proceeds from this pattern to the shelter. 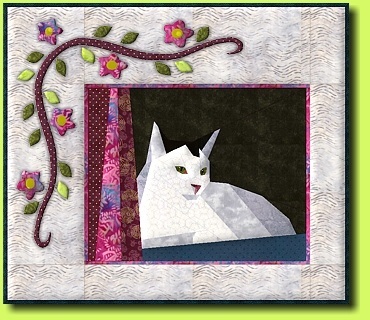 If you would like to be notified when new patterns are published, send me an email.